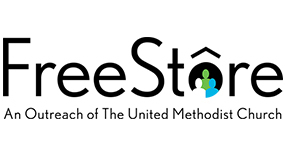 FreeStore Austin, a cooperative ministry of the Capital District and mission partner of FUMC, has now reopened at its new home at Memorial UMC Gym 6100 Berkman Drive Austin, TX, 78723. 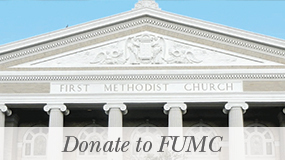 The FreeStore is back and we are excited to restart our support of this ministry at its new home, Memorial UMC, through our giving and serving. The FreeStore is more than a place to share clothing and household goods. It’s a place where people from all walks of life have an opportunity to build relationships. The foundations of this intentionally cross-cultural, multi-racial community lie in the affirmation of God’s love for all people. 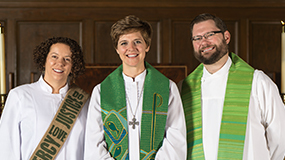 Members of FUMC are invited to serve together each third Saturday from 8:45 a.m.-11:00 a.m.. Serving opportunities include assisting shoppers; bagging items; providing hospitality; sorting organizing, and shelving donated items; and sharing stories over a cup of coffee. There is something for everyone-children, youth, individuals, and families. There is currently no signup, so just show up and serve. The FreeStore is open for shopping Wednesdays 11:00 a.m.-1:00 p.m., Saturdays 9:00 a.m.-11:00 AM. Donations are received Mondays and Wednesdays 10:00 a.m.-1:00 p.m. and Saturdays 9:00 a.m.-11:00 a.m.
February 16, 2019, 8:45 a.m.-11:00 a.m.
March 16, 2019, 8:45 a.m.-11:00 a.m.
April 20, 2019, 8:45 a.m.-11:00 a.m.
May 18, 2019, 8:45 a.m.-11:00 a.m.
June 15, 2019, 8:45 a.m.-11:00 a.m.
July 20, 2019, 8:45 a.m.-11:00 a.m.
August 17, 2019, 8:45 a.m.-11:00 a.m.
September 21, 2019, 8:45 a.m.-11:00 a.m.
October 19, 2019, 8:45 a.m.-11:00 a.m.
November 16, 2019, 8:45 a.m.-11:00 a.m.
December 21, 2019, 8:45 a.m.-11:00 a.m.
To find out more about the FreeStore, visit freestoreaustin.org or contact Pastor Cathy at cathy@fumcaustin.org or 512-478-5684 (ext. 215). The FreeStore is exactly what it sounds like. The FreeStore is a store that has clothes, shoes, household items, furniture, toys and books; and it is all free. While serving or shopping at the FreeStore you experience their mission first hand: We believe that in God’s world there is enough for all people, and extend that abundance by freely giving clothing and household goods to all who come through the FreeStore doors. Through this tangible grace, we affirm the self-worth of every person by creating opportunities for all people to live in community with one another. You quickly discover that there’s more than just stuff at the FreeStore. It’s about the connections you make with people…ordinary people like you, sharing God’s love over a cup of coffee or with a couple of bags of free clothes. Serving opportunities include sorting organizing and shelving donated items, providing hospitality, assisting shoppers, bagging items, and sharing stories over a cup of coffee. There is something for everyone – children, youth, individuals, and families.